What is with NJ and all the similar named cities? There is another Union Township in Hunterdon County – so we’ll simply call this place Union. Anyway – Union and other eastern municipalities along NJ Route 22 are very much known for their retail density and heavy traffic volumes during peak times. Union is also in the top 5% of most populous cities in NJ. I wouldn’t be surprised if each and every retail corporation in existence has a location in either Union or Springfield. But that’s neither here or there. Any suggestions for spots above and beyond? Union is a township in Union County, New Jersey, United States. In the 18th century, the area that is now Union was then called Connecticut Farms. As of the 2010 United States Census, the township population was 56,642, the highest recorded in any decennial census, reflecting an increase of 2,237 (+4.1%) from the 54,405 counted in the 2000 Census, which had in turn increased by 4,381 (+8.8%) from the 50,024 counted in the 1990 Census. According to the United States Census Bureau, Union township had a total area of 9.092 square miles (23.548 km), including 9.071 square miles (23.494 km) of land and 0.021 square miles (0.055 km) of water (0.23%). Unincorporated communities, localities and place names located partially or completely within the township include Battle Hill, Connecticut Farms, Galloping Hill, Headlentown, Putnam Manor, Salem, Townley and Vauxhall. Five Points, area around the junction of Galloping Hill Road, Chestnut Street, Salem Road, Delaware Avenue, Walton Avenue, and Tucker Avenue. Brookside Heights (Curreyville), west of Vauxhall Road. Vauxhall, area of Union north of I-78 and west of Stuyvesant Avenue,with its own ZIP code 07088. Union Center, area around the intersection of Morris and Stuyvesant Avenues. Putnam Ridge, a section between Suburban Road, Morris Avenue, Twin Oaks Road, and Colonial Avenue. Putnam Manor, an historic section between Colonial Avenue and Salem Road. Parkside Manor, a three-road section off of Union Terrace, featured in the movie She Devil with Roseanne Barr. Larchmont Estates, area bordered by Larchmont Reservation (NW and NE edges), Morris Avenue (SW), Liberty Avenue (SE), and Joe Collins Park/Larchmont Reservation (NE edge). Green Lane, new community between Kean University and Union Station. Fairway Drive, community bordering the Galloping Hill Golf Course. At the 2010 United States Census, there were 56,642 people, 19,556 households, and 14,276 families residing in the township. The population density was 6,244.3 per square mile (2,410.9/km). There were 20,250 housing units at an average density of 2,232.4 per square mile (861.9/km). The racial makeup of the township was 53.78% (30,464) White, 28.98% (16,417) Black or African American, 0.14% (80) Native American, 10.60% (6,003) Asian, 0.04% (24) Pacific Islander, 4.06% (2,297) from other races, and 2.40% (1,357) from two or more races. Hispanics or Latinos of any race were 14.94% (8,465) of the population. There were 19,556 households, of which 31.6% had children under the age of 18 living with them, 53.7% were married couples living together, 14.4% had a female householder with no husband present, and 27.0% were non-families. 23.0% of all households were made up of individuals, and 10.8% had someone living alone who was 65 years of age or older. The average household size was 2.82 and the average family size was 3.35. In the township, 21.1% of the population were under the age of 18, 10.7% from 18 to 24, 26.0% from 25 to 44, 28.2% from 45 to 64, and 14.0% who were 65 years of age or older. The median age was 39.6 years. For every 100 females there were 89.7 males. For every 100 females age 18 and over, there were 85.6 males. The Census Bureau’s 2006-2010 American Community Survey showed that (in 2010 inflation-adjusted dollars) median household income was $73,722 (with a margin of error of +/- $4,858) and the median family income was $86,705 (+/- $3,822). Males had a median income of $54,811 (+/- $1,998) versus $47,144 (+/- $2,316) for females. The per capita income for the township was $31,135 (+/- $1,104). About 3.7% of families and 4.7% of the population were below the poverty line, including 4.7% of those under age 18 and 5.6% of those age 65 or over. As of May 2010, the township had a total of 145.85 miles (234.72 km) of roadways, of which 120.11 miles (193.30 km) were maintained by the municipality, 11.43 miles (18.39 km) by Union County and 12.46 miles (20.05 km) by the New Jersey Department of Transportation and 1.85 miles (2.98 km) by the New Jersey Turnpike Authority. Union is traversed by the Garden State Parkway, Interstate 78, U.S. Route 22 and Route 82 (Morris Avenue). The Parkway connects Kenilworth in the south to Hillside in the north. 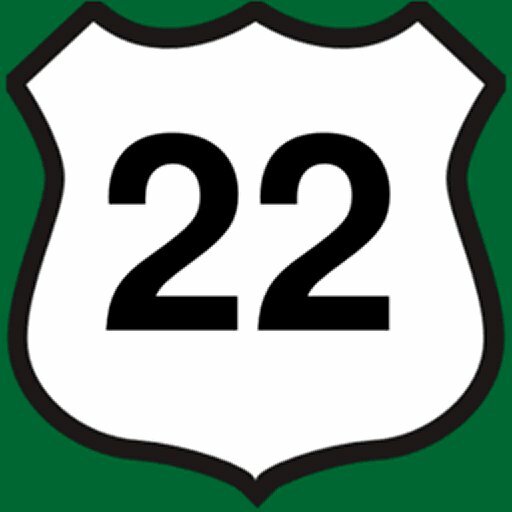 The Parkway includes interchanges 139A (Chestnut Street) / 139B (Route 82 West Union), interchanges 140 (Route 22 / Route 82 west) / 140A (Route 22 / Route 82 west) and interchange 141 (Vauxhall Road / Union). New Jersey Transit offers rail service at the Union train station providing service on the Raritan Valley Line (formerly the mainline of the Lehigh Valley Railroad) to Newark Penn Station. The station opened in 2003 and includes a parking lot with over 450 spaces. Former Rahway Valley Railroad freight line, now abandoned, crosses through Union. This line, presently licensed to Morristown and Erie Railway, is in the process of revitalization after which it will link to NJ Transit’s Morris and Essex Lines at Summit and connect to Staten Island. The Union Watersphere, for many years the tallest water tower of its type in the world, stands 212 feet tall, holds 250,000 gallons of drinking water and is now also used as a cell phone tower. The landmark and icon inspired a former Union resident to create a website and museum (in Austin, Texas) dedicated to it. Union is home to several houses constructed totally of poured concrete, an experiment of Thomas Edison. The homes on Ingersoll Terrace include poured concrete interior walls with formed concrete plumbing. Union is home to a building in the shape of a ship at 2262 U.S. Route 22. Originally a restaurant and night club, it has changed ownership over the years, becoming a furniture store known as “The Flagship” and later The Wiz Home Electronics. It is currently a P. C. Richard & Son store. Union is home to the largest Home Depot store in the United States, covering 217,000 square feet (20,200 m). Aminat Ayinde, the second runner-up from Cycle 12 of America’s Next Top Model. C. Louis Bassano (born 1942) politician who served in both the New Jersey General Assembly and the New Jersey Senate. Freddie ‘Red’ Cochrane (1915–1993), professional boxer in the welterweight (147lb) division who became World Champion in 1941 in that class. Joe Collins (1922–1989), first baseman for the New York Yankees from 1948 to 1957. A park on Liberty Avenue is named after him. Joseph Cryan (born 1961), represents the 20th legislative district in the New Jersey General Assembly. Jamie Fox (born 1954), political strategist. Kayla Hoffman (born 1988), artistic gymnast. Mildred Barry Hughes (1902–95), the first woman elected to the New Jersey Senate, in 1965. Ron Karkovice (born 1963), Major League baseball catcher from 1986 to 1997. Amalya Lyle Kearse (born 1937), a judge of the United States Court of Appeals for the Second Circuit. Larry Kubin (born 1959), linebacker who played with the Washington Redskins from 1981 to 1984. Kelly Kulick (born 1977), professional bowler who became the first woman ever to win a regular Professional Bowlers Association tour title. Artie Lange (born 1967), comedian, actor, and former Howard Stern Show sidekick. Ray Liotta (born 1954), actor. Elliott Maddox (born 1947), professional baseball player with both the New York Yankees 1974-76 and the New York Mets 1978-80. Conde McGinley (born 1890), publisher of the anti-Communist and anti-Semitic weekly paper, Common Sense. Sylvia Pogorzelski (born 1985), Miss New Jersey USA 2005. Matthew John Rinaldo (born 1931), represented New Jersey in the United States House of Representatives for twenty years, in the 12th congressional district (1973–1983) and in the 7th congressional district (1983–1993). Anthony E. Russo (born 1926), former member of the New Jersey Senate who served as Mayor of Union. Karl Schellscheidt (born 1968), soccer player, educator and entrepreneur. Manfred Schellscheidt (born 1941) German-American soccer coach and former player and member of the National Soccer Hall of Fame. Darnell Stapleton (born 1985), former offensive guard for the Pittsburgh Steelers who was a member of the Steelers’ Super Bowl XLIII championship team. Robert Wuhl (born 1951), actor. Darren Young (born 1983), professional wrestler signed to WWE where he is one half of The Prime Time Players with Titus O’Neil.